Wanted: One comfortable home that does not cost an arm and a leg. Not too large; no time or inclination to clean room after room, have enough other stuff to do anyway. But there should be a bathroom and kind-of kitchen to make coffee or slap a sandwich together. And enough space for a bed and a few chairs, mismatched though they may be. Exactly? Thank us later for that ‘Apartment Wanted’ ad. You aren’t the first person to want such a perfect place. And it is for you that studio apartments / flats have come to be built. Such a place is typically a single room with en suite bathroom and a kitchenette in a little alcove. It has an open plan over an area of 300 to 500 sq ft. 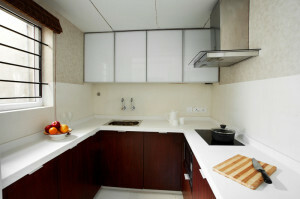 Studio apartments have been popular in busy cities like London or New York and the trend has caught on in India as well. They were not commonly found in Chennai until a few years ago. Very few builders offered them, and the smallest you could buy was a 1 bhk apartment. Doshi Housing was one of the first builders to offer studio apartments. The open plan and absence of walls in a typical studio apartment make the place look larger than it is, so you don’t feel cooped up in a small room. The USP here is that it is easy enough to maintain with space sufficient for one person, or young couple, who is away at work for the better part of the day. When talking about young people who are busy, we are referring to those who have no formal entertaining to do. They live in the larger, and more crowded, cities where living is comparatively costly. Space and cost are the reasons that people are moving out to the suburbs. Of course, there is cleaner air to breathe than in the heart of a bustling metropolis. There are several clever ways to ensure lots of storage and make room to move about freely in a studio apartment. A bed that slides under a cupboard, folds away or pulls out. A sofa that opens into a bed at night. Shelves, cabinets and drawers are terrific ways to manage storage. How about a loft bed with cupboards below? But, don’t sweat it; visit our model apartment for a first-hand look and feel of space-saving furniture.The idea is to ensure that as much as possible of the floor remains free, so you are not crashing into anything, and the place is easy to clean. Get a coffee table that will also work as an informal dining area. Keep the drapes and furnishings light and easy to clean. Choose furniture and fittings that are comfortable and light, but sturdy. If you want to cook in your studio, ensure that there is enough ventilation for air to circulate freely. You don’t want fires or the lingering smell of sambar or tadka dal, do you? Pick textures that are practical and soothing, and pleasing colours which make your studio feel spacious. Add a splash of colour to create an accent wall, place a small plant or two near the window. A home, however small, should be comfortable and look great too. The trick is to combine utility, space and style in a single room. 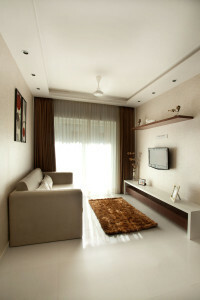 Choose fittings and furniture that are minimal in quantity and minimalist in design. No heavy antiques, large beds or wardrobes, please. You can keep them for that bigger apartment you plan to buy soon. And please forget about the heart-shaped tub in the bathroom too. To rent or to buy? We suggest you buy. Rent is not an investment, ergo, there is no return on it. On the other hand, even if you were to raise a loan to buy your own apartment/house, the EMI you would pay adds value to your investment. Whenever you decide you want a larger apartment (and believe us, you will), you can sell the studio and the appreciation in value will help you in funding the purchase of the larger apartment. When you decide to buy an apartment, the obvious point to consider - besides location, cost and built-up area - is the builder. So choose wisely. Choose a builder who is reputed for the quality of his constructions the value for money he offers you and the trust he inspires in his clients. A studio apartment, by whatever name you want to call it, is about independence and convenience. It is a reflection of your personality and a happy place for your friends to drop by. Are You Ready For The Monsoon?